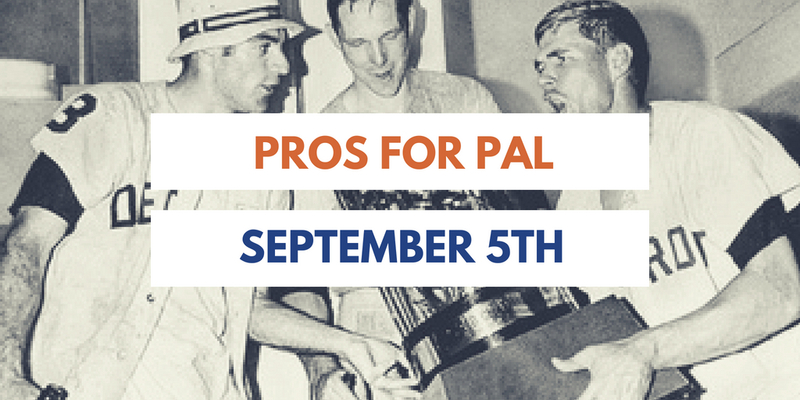 Pros for PAL Tickets Now Available! Join us to celebrate the 50th anniversary of the 1968 World Series champions, the Detroit Tigers, at the site where it all happened! The event will include Q & A’s with Tigers legends, food and drink, memorabilia displays, live entertainment, raffles, door prizes, games, and more! A special VIP ticket include access to a private reception with Tigers legends.